These vivid green common nettles are easy to spot, with their two oppositional leaves. What a difference it makes to actually forage for nettles at the start of the season, as opposed to last spring when they were starting to undesirably go to seed. Foraging with Chef Intaba by the river in Willamette Park last Saturday, I was also much more confident in identifying the green stalks and didn’t confuse them with young blackberry leaves. I also came prepared with my tough purple kitchen gloves and thick rubber boots, the better to wade into the brambles. 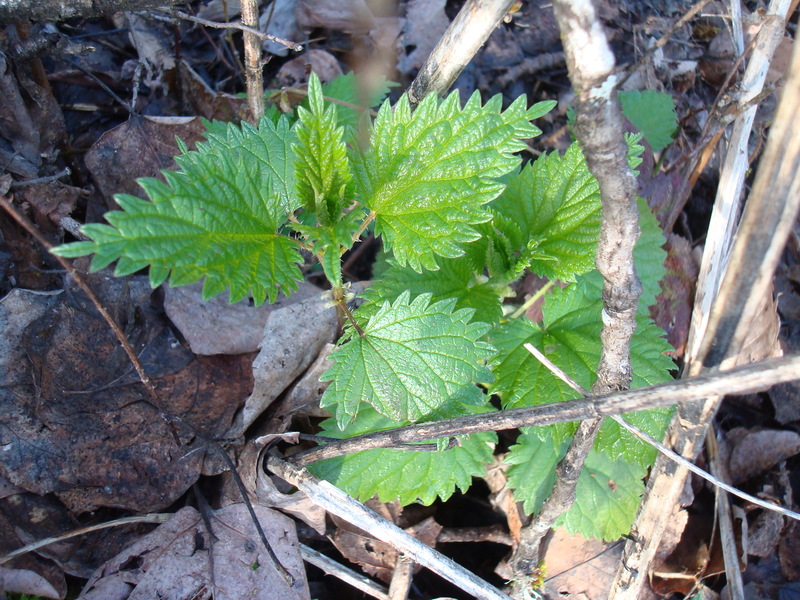 We snapped off just the young top nettle leaves, so hopefully they will replenish themselves over the next month. The picked raw leaves, which when blanched or steamed are like a sweet, more fibrous spinach, smelled like chlorophyll-laden green pepper in my bag. And when you steam them up, you can drink the remaining detoxifying green-black tea, supposedly good for your complexion and urinary tract. It’s vegetal and slightly sweet. 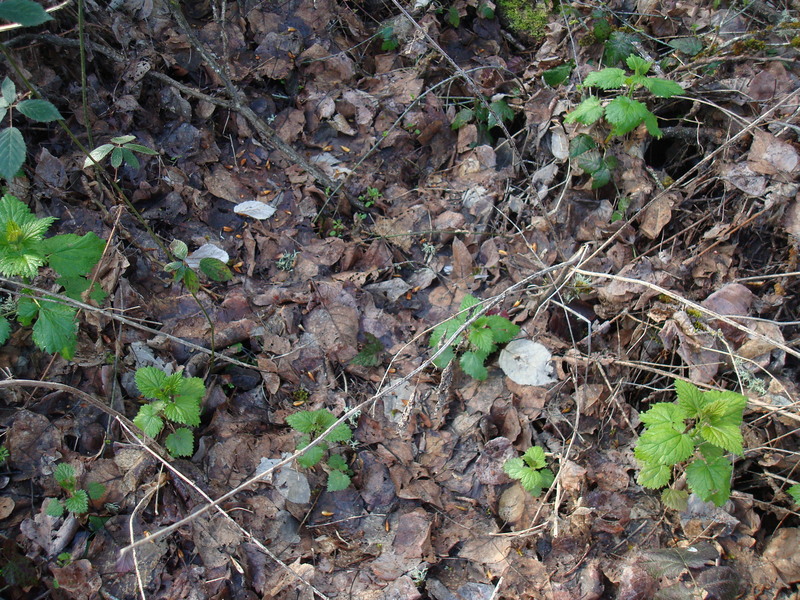 A good nettle patch: the green really stands out against the backdrop of brown leaves. With the blanched, chopped leaves, I made a quinoa and bulgur greek salad and a spanikopita-like lasagna, with feta, ricotta, chopped nettle and dill for the filling. See other nettle recipe suggestions here and on Culinate here. I hear they make a good soup, with potatoes. Deborah Madison has a recipe that looks nice. But I think I’ll only get the urge to forage for nettles about once a season. I still prefer domestically-cultivated greens, such as kale and spinach. 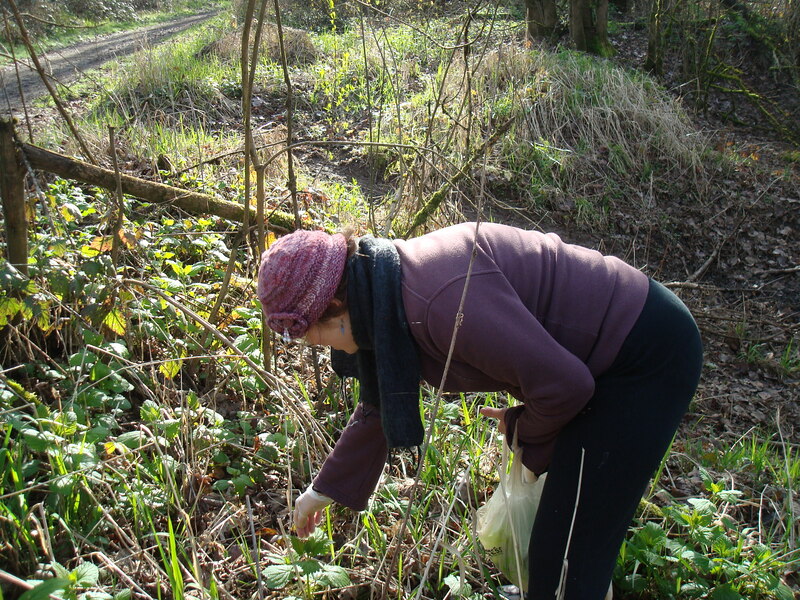 But foraging is a lot easier, and in some ways more rewarding, than gardening. Here’s to next year, Intaba! Master forager Chef Intaba picked bagfuls.